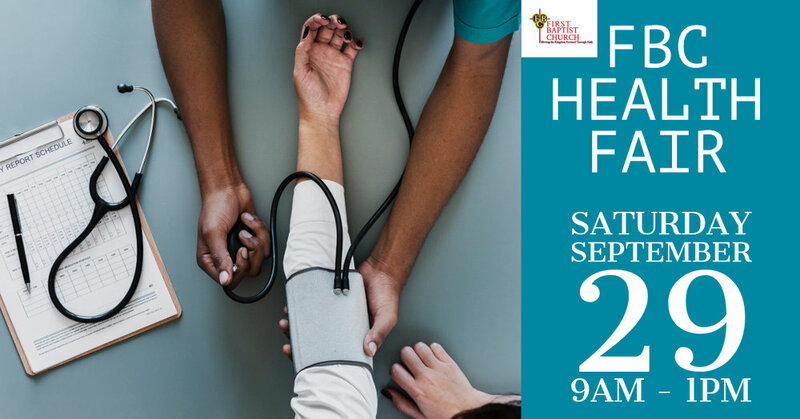 The Health & Wellness Ministry will host a Health Fair on Saturday, September 29 at First Baptist Church from 9am - 1pm. Free BMI, A1C, blood pressure, vision, hearing, Pediatric dental screening and oral hygiene will be provided. Staff from one of the Free Clinic will be on site for individuals needing follow up care. We look forward to seeing you and don't forget to bring a friend, neighbor or someone from the community.